Below are some helpful ways to proofread your work both effectively and efficiently. Use these ideas to assist you and add on to them as you become more accustomed to the art of proofreading. Divide your article, essay, or chapter into smaller chunks; it will make the proofreading process much easier. That way, you won't be trying to tackle the whole piece at once. You can even highlight each section after you've proofed it, which is especially helpful if you need to proofread in stops and starts (as might happen if the telephone suddenly rings in the middle of your proofing project.) Then, you can go back to where you left off without missing a beat. In each small section, check for misuse of language or misplacement of punctuation marks. It's so easy to spell out "led" instead of "lead" or "you're" instead of "your", and spell check will not catch that kind of error. Instead, you need to train your eye to focus on any words that are out of place, especially those that are used frequently. Similarly, every writer has misplaced a comma or forgotten to close a quotation at least once in his or her writing career. 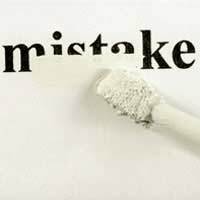 Look for these common mistakes and correct them lest your editor begin to wonder if you're really the professional he or she was looking to hire. Sometimes, in our rush to write, we end up using a common word (such as "very" or "good") too often. Make sure that you haven't overused any phases or words within your work; remember, they don't necessarily make the piece any better and they might just detract from it if the word "probably" is in every other sentence. Either remove them altogether or replace them with a word that has a similar meaning. Computer software is wonderful, but limited. Always open up your document after you have saved what you believe is the "final version" to ensure that all the formatting is correct. After all, you don't want your agent to be disappointed when she attempts to read your piece, only to find that the page numbers fall in the middle of the page or a border has suddenly appeared. Though it might be tempting, don't use the proofreading stage to change your article or assignment. By adding too many new elements, you'll actually be making more work for yourself because you'll have to head back to the rewrite stage and proofread all over again. By being systematic, you can make the proofreading process quicker and (relatively!) painless. Plus, you'll be increasing your reputation as a diligent writer.